Could it be that the cold and snow are behind us? My garlic is poking its heads out of the winter’s protective mulch. 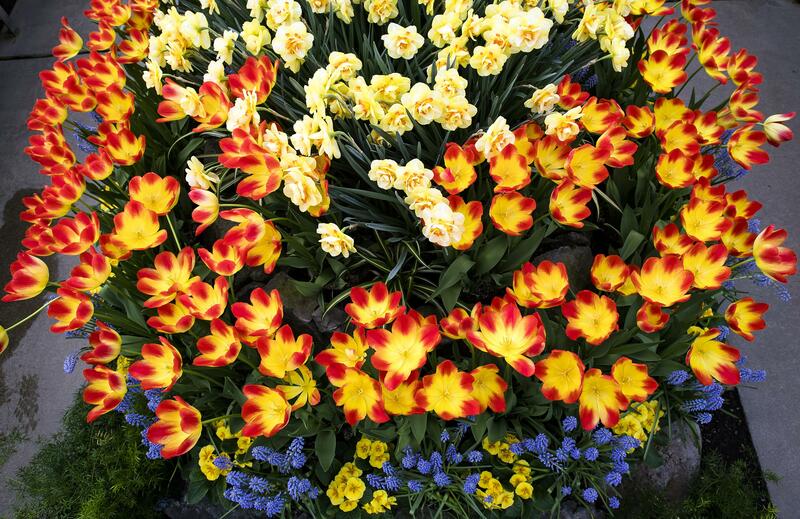 Several people have said that tulips and daffodils are up testing the weather. Within a week even those of us with north-facing gardens should be free of snow. There is, however, still the wait for the mud to disappear so we can dig. With a little time on our hands, what better way to fill it than by attending the Master Gardener Foundation’s annual Cabin Fever event March 24 at the CenterPlace Regional Event Center in Spokane Valley. The event features 12 lectures on a wide range of topics and vendors with all kinds of garden stuff. The event runs 7:30 a.m. to 3:15 p.m. and costs $75, which includes lunch and door prizes. Online registration is at the foundation’s website: http://www.mgfsc.org/ cabin-fever. The address for CenterPlace is 2426 N. Discovery Place in Spokane Valley. The day will be broken into four blocks – two in the morning and two in the afternoon – with three class choices in each. There will be time between classes and at lunch to visit the vendors bringing all kinds of garden treasures. The morning session will start with Carol Newcomb of Northland Rosarium talking about growing roses in our sometimes-wacky climate. Newcomb specializes in growing own-root roses that can recover from harsh winters that kill their grafted cousins. If it’s getting to be a challenge to get up off the ground or arthritis is making it hard to garden at all, come hear Cathi Lamoreux discuss ways to adapt your tools and techniques so that you can continue gardening and taking advantage of its health benefits. Confused about all the stuff you hear about using pesticides? Aaron Brown of the Washington State Department of Agriculture will share the best ways to safely store and dispose of chemicals to protect children, pets and the environment and how to properly read a conventional or organic pesticide label. Kelly Chadwick of Spirit Pruners will teach you some of his tricks of pruning trees properly and when it’s appropriate to break the rules to create a beautiful piece of landscape art with a few careful pruning cuts. Throughout the day there will be talks about incorporating nature into our gardening practices. Ken Bevis will talk about the importance of leaving snags and downed trees for wildlife. I will be speaking on how to identify our native pollinators and how to keep them happy in your garden. In the afternoon, Robin O’Quinn, an EWU botanist, will talk about incorporating native plants into your landscape and share some of her favorites. Ryan Herring, a Master Gardener and a Master Composter, will talk about ways to use your pine needles as a gardening resource rather than something to put in the green bin. Landscape architect Barbra Safranek will round out the discussion with a presentation on how gardeners can be the start of broader community conversations about protecting the natural environment. Pat Munts has gardened in the Spokane Valley for over 35 years. She is co-author of “Northwest Gardener’s Handbook” with Susan Mulvihill. She can be reached at pat@inlandnwgardening.com. Published: March 14, 2018, 12:04 p.m.